There are a handful of excellent cosmetic procedures that can change the way your skin looks and behaves. These procedures range from laser resurfacing to dermal fillers to surgical facelifts, with each coming with its own degree of invasiveness. Removing the entire top layer of the epidermis is a common treatment goal – the skin is replaced, and in some instances, new collagen formation is achieved. A chemical peel causes certain skin layers to be removed, with the result being tighter and more even skin as the layers regenerate and repair. There are three types of chemical peel: a superficial peel, medium-depth peels, and deep peels. Peel depth depends on the substance used and its concentration. This takes several weeks for results, since the skin must return to normal. Side-effects correlate with how deep the peel goes. The skin gets a new surface, and skin elasticity is improved. Devices include IPL, lasers, and radio frequencies (RF) to offer skin rejuvenation, resurfacing, and tightening. These treatments aim at deeper tissue layers, and therefore do not typically affect the surface of the skin directly, though they can. These devices cause damage to certain skin layers, triggering a healing response that ultimately results in regeneration. Each type of treatment has its pros and cons, and works differently on the skin cells for different outcomes. This is not a replacement for skin resurfacing. There are increases in fibroblast activity – the cells that produce collagen and elastin fibres, plus certain growth factors. New laser technology is being developed all the time, with improved targeting and treatment, with less side-effects and downtime. These rejuvenators are designed to improve the action of the cells that produce collagen and elastin – fibroblasts – and to hydrate and provide volume. Dermal fillers are absorbable, and there is a vast array available, ranging from bovine (cow) collagen to naturally-occuring molecules to synthetic implants. They are typically grouped by how long they last: temporary (from months up to one or two years) or long-lasting (more than two years), but also where they are most suitably placed. Naturally-occuring molecule-based dermal filler is now widely accepted as a great example of a rejuvenating and augmenting injectable temporary dermal filler, since it is a natural component of skin that does all the things you would ideally want in a dermal filler. A longer-lasting filler is CaHA, a synthetic filler that acts like a scaffold for new collagen formation. PLA is another option that works in a different way altogether, by leaving crystals behind that trigger regeneration. As you can see, the range of actions is wide. PRP is an interesting and relatively new concept in skin rejuvenation, whereby whole fresh blood from the person is taken and processed to remove the plasma dense with platelets. This is injected. PRP contains many growth factors, and stimulate fibroblasts and rejuvenate the skin. Research continues. Anti-wrinkle muscle relaxants have no impact on skin texture, but relaxes the muscles it is injected into, essentially preventing further creasing and wrinkling caused by facial muscle movement. This slows down visible signs of ageing. 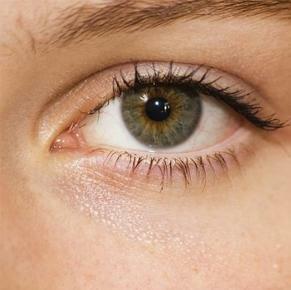 Typical areas include around frown lines and crow’s feet. The action is temporary, lasting three to six months. Certain hormones contribute to ageing as they decline. For example, one study found that both women and men aged between 60 and 79 years of age given the active form of testosterone for one year showed improvements in the women’s libido, skin health, and bone density. Growth hormone is known to decrease the biological signs of ageing, including skin thickness and muscle mass. Melatonin has also showed signs of having an impact on ageing due to its relationship with body weight. Older men do well with testosterone boosts, and oestrogen and progesterone have long been thought to have anti-ageing effects, but it’s not all rosy, as cancer risks can be increased. There are many options for anti-ageing procedures.